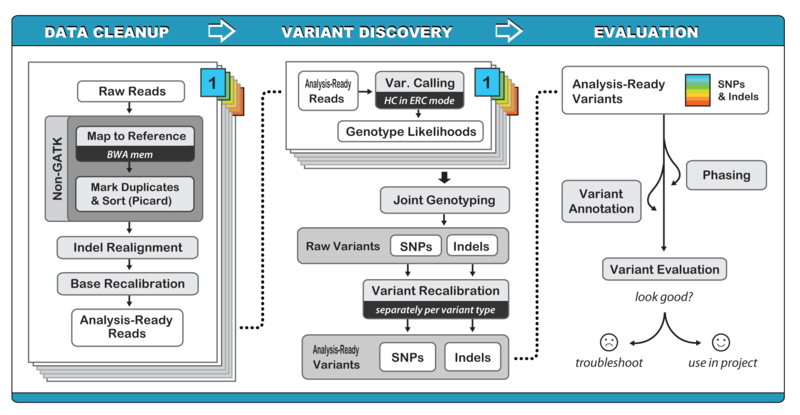 Ami Levy-Moonshine presented this condensed 90-minute workshop given at ASHG 2014 in San Diego, CA on October 21. This workshop covered all the core steps involved in calling variants with the GATK, using the “Best Practices” developed by the GATK team. The presentation materials outline why each step is essential to the calling process and what are the key operations performed on the data at each step. 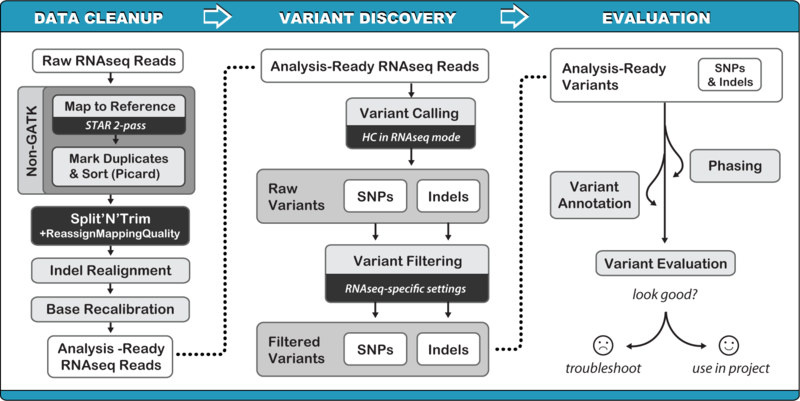 This includes specific information about variant calling in RNAseq data and efficient analysis of cohorts. His slide deck is available at this link if you're viewing this post in the forum, or below if you are viewing the presentation page already. GATK was also featured in another mini-workshop at ASHG which covered the iSeqTools network, focused on cloud-based analysis. The presentation slides will be posted to the iSeqTools website in the near future. Workshop materials do not seem to be here, and the link to the slide pack points back to the post (i.e., not the slides). Is there another working link to the slide pack and/or video of presentation? My bad, forgot to post the slide deck. Here's a dropbox link for now.